Ijoy Pole Pod Kit, which adopts LED indicator for easy operation, is powered by built-in 600mAh battery. In addition, it has several protections to ensure high performance. As regards atomizer, ceramic coil delivers pure flavor and top adjustable airflow offers excellent cloud. Ijoy Pole Pod Kit, which adopts LED indicator to clearly show status of vape for easy operation, is powered by built-in 650mAh battery to fire up to 15W. In addition, it has several protections, which include short circuit protection and low power protection, to ensure high performance. As regards atomizer, ceramic coil delivers pure flavor and top adjustable airflow offers excellent cloud. Just take this compact and portable e-cig to enjoy vaping. • Three-month for warranty for IJOY Pole Pod Kit. 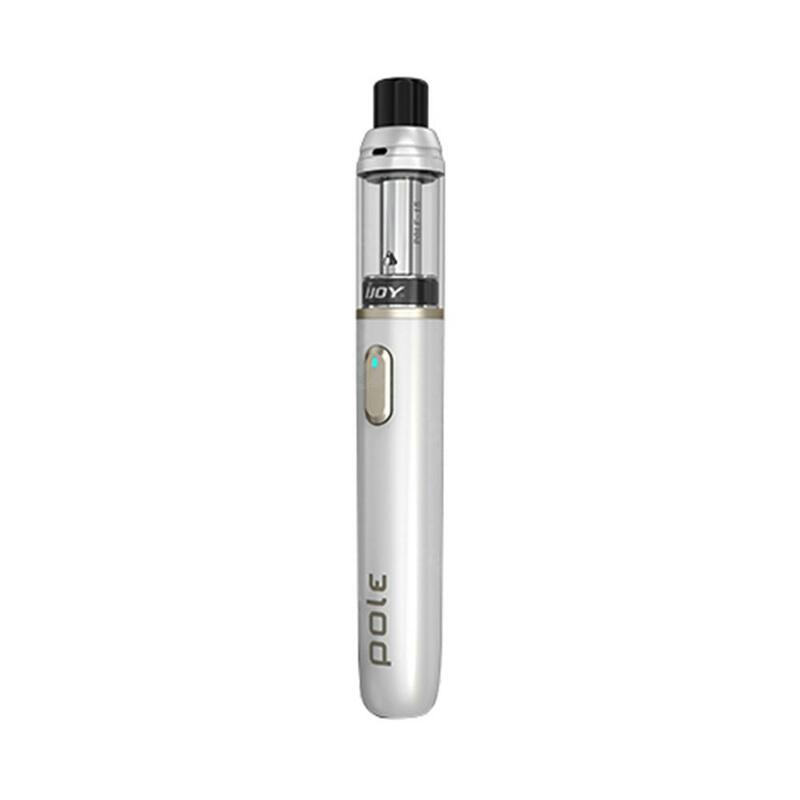 15W Ijoy Pole Pod Kit - 650mAh iJoy Pole Pod Kit is a simple and compact all-in-one MTL starter kit powered with built-in 650mah battery and 1.9ml e-liquid capacity. Its atomizer utilizes top airflow intake and the latest ceramic coil to prevent dry heat and bring coil life with original flavor. This is a pod kit, the latest from Ijoy. R thos3 who loves decent vapor this is for you. Powerful at 15w this pod will definitely love by those who loves decent vapor and using the latest coil technology, this will give the user a very nice great tasting flavour using the coil technology. And the best most important thing is, this very affordable.... only at Urvapin. Get tour Ijoy Pole pod now only at Urvapin.